Over 135 spaces already booked! 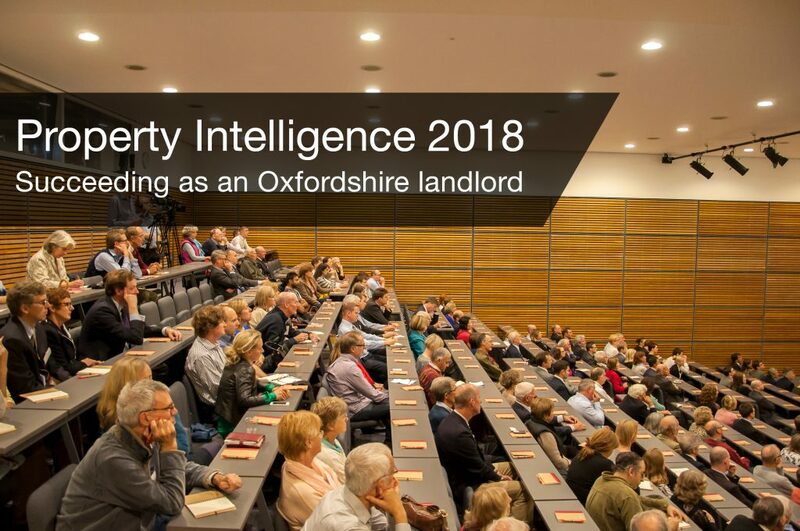 Oxfordshire’s number one property seminar will take place in Oxford on Wednesday 12th September this year. These events began as a ‘benefit’ for our clients with a view to providing insight on important topics, and we are delighted that they attract around 150 clients each year. Over the last nine years we have had speakers covering a variety of themes, such as planning policy, rail and commercial development across the county, tenant demand and investment opportunities. Guest speakers have included the Property Ombudsman, Property Journalist Graham Norwood, and Property Analyst Kate Faulkner. Richard is editor of Property Investor News magazine and a long-term residential landlord and private investor. He will give an overview of the UK Property Investment Market and discuss how investors can maximise the opportunities presented in the current market. Caroline is the Property Manager at Culham Science Centre, home to the UK centre for research into Fusion Energy, and was previously General Manager of Begbroke Science Park. She will focus on the business growth in research and innovation that is attracting international companies and driving dynamic local spin-out companies. David is Personal Tax Director for Shaw Gibbs, specialising in property and inheritance tax amongst other areas. He will take a look at whether all landlords really should be investing as a company structure as the media suggests, and will also focus on inheritance tax planning for landlords. Maxine heads up Inspired Investment, the search and acquisition division of Finders Keepers which helps clients to purchase investment property across Oxfordshire. She will review recent successful investment purchases and give tips on upcoming opportunities across the county.